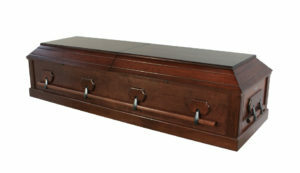 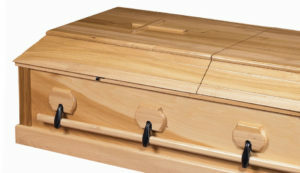 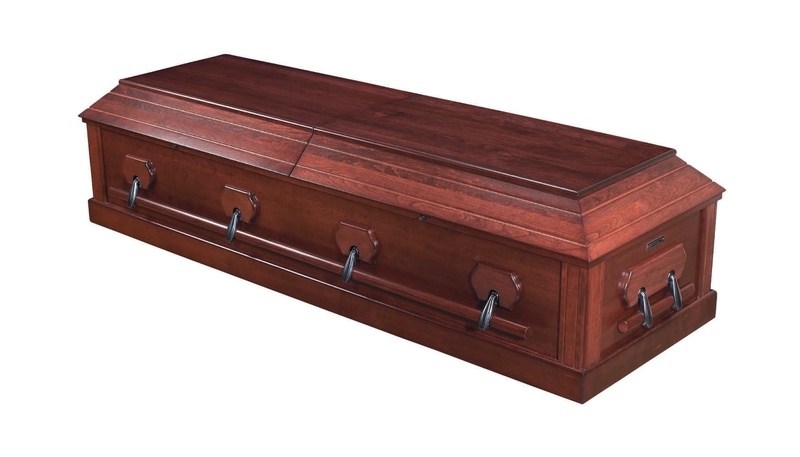 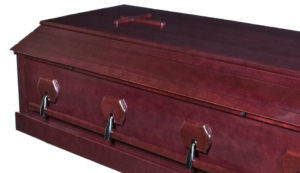 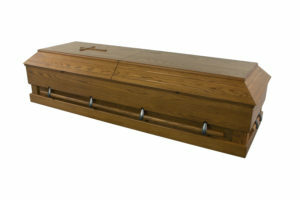 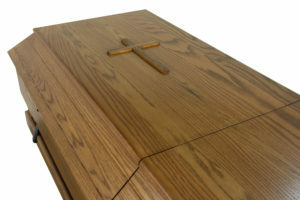 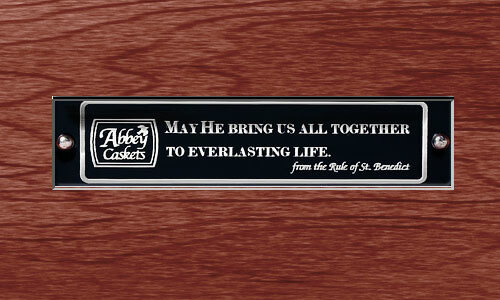 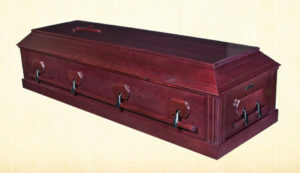 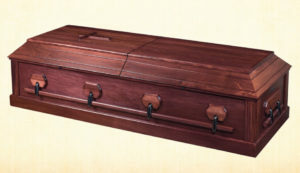 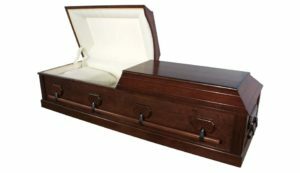 The Traditional Cherry Abbey Casket is built in black cherry hardwood. 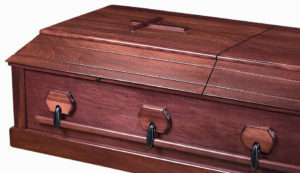 Black cherry wood is a rich reddish-brown color and is a strong, hard and close-grained wood. 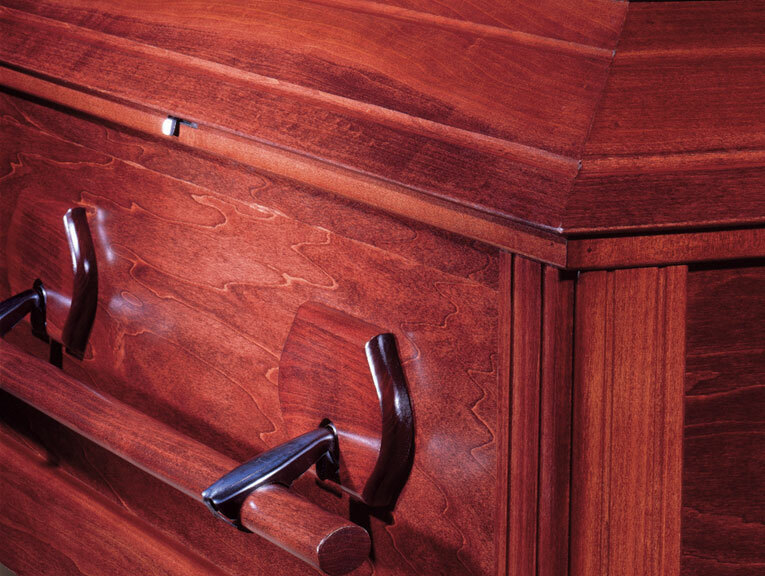 Each casket is hand wiped with a dark cherry stain giving this casket a rich appearance similar to mahogany. 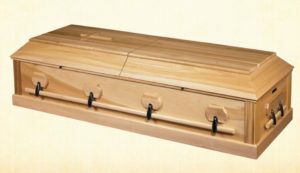 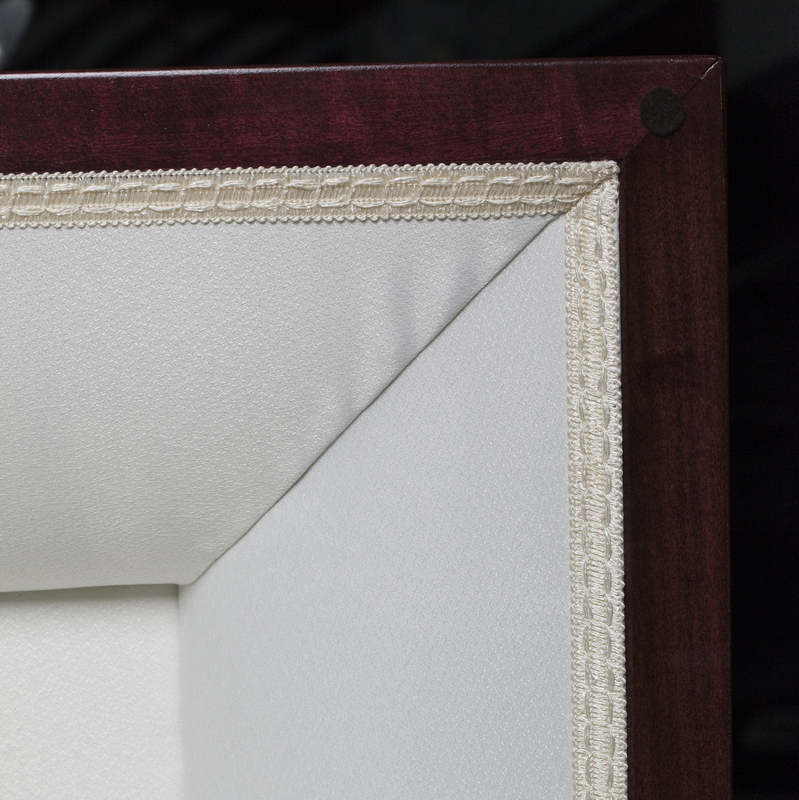 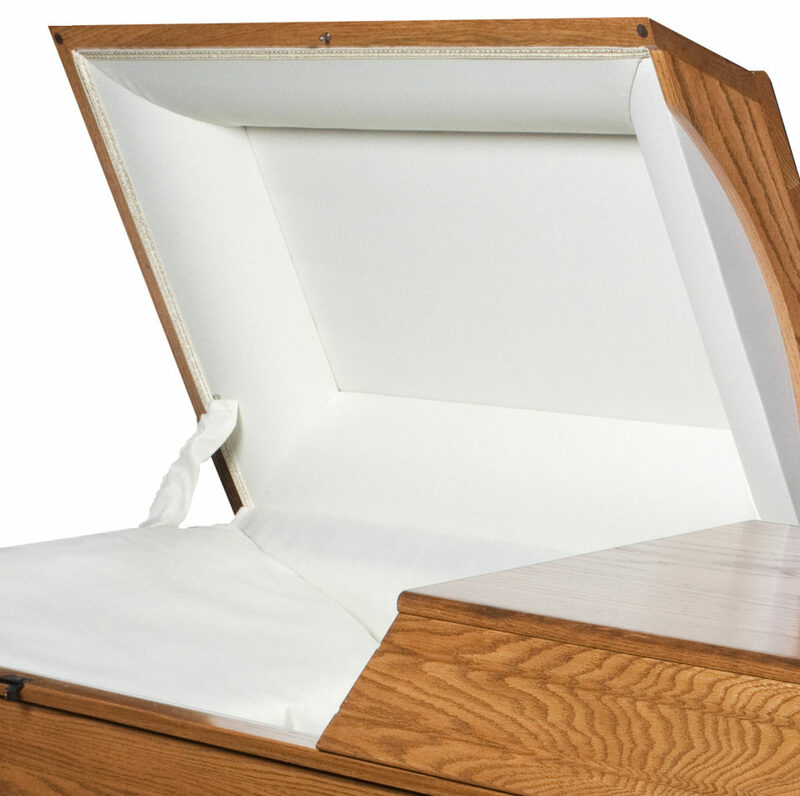 The Traditional Abbey casket is fully lined with an off-white linen interior. 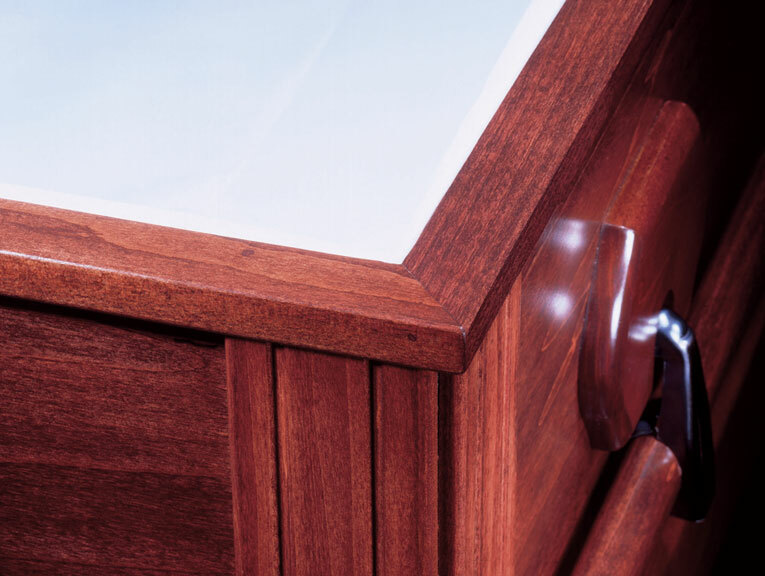 A solid wood swing bar handle is secured with Venetian bronze hardware on all four sides for ease of carrying.